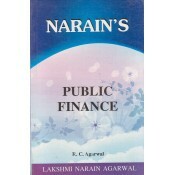 This book has been written for the Diploma in Micro-finance course of the Indian Institute of Banking and Finance. As the course is aimed at practising micro-finance professionals as well as those aspiring for a career in micro-finance, the book is comprehensive in both theoretical and practical aspects of micro-finance. The book consists of two parts, viz., Perspectives in Micro-finance and Operational Aspects of Micro-finance. The first part covers basics of micro-finance – definition, scope, etc. It also describes the evolution of micro-finance in India and abroad and assimilates all learning from international experiences. Important aspects of micro-finance – impact assessment and social assessment – are also discussed in this part. Part two of the book covers the day-to-day operational aspects of micro-finance. It provides details regarding the various financial services and products that are offered to micro-finance clients. It also describes the various credit delivery channels. It provides the basic tools for accounting and finance in micro-finance, and explains how book must be kept in micro-finance institutions. Various financial reporting formats that would be useful to micro-finance professionals have also been discussed in the book. The authors of this book are drawn from the field of micro-finance so a practitioner’s view is an integral part of the book. This book would be useful to anybody who is interested in micro-finance.